BOISE, Idaho— Conservation groups filed a lawsuit today challenging Trump administration policies that gut protections for imperiled greater sage grouse and allow oil and gas leases on nearly 2 million acres of the birds’ prime habitat. Today’s suit, filed in U.S. District Court in Boise, says the Interior Department’s Bureau of Land Management violated the National Environmental Policy Act and Federal Lands Policy and Management Act when it approved eight massive oil and gas lease sales in Nevada, Utah, Montana, Wyoming and Idaho. This lawsuit also marks the first legal challenge to the Interior Department’s controversial January policy that slashed transparency, public participation and environmental reviews before oil and gas leases are auctioned. The policy, together with the massive leases in sage-grouse habitat, are part of Trump’s “energy dominance” agenda, intended to sweep aside environmental protections to speed fossil fuel development on public land. 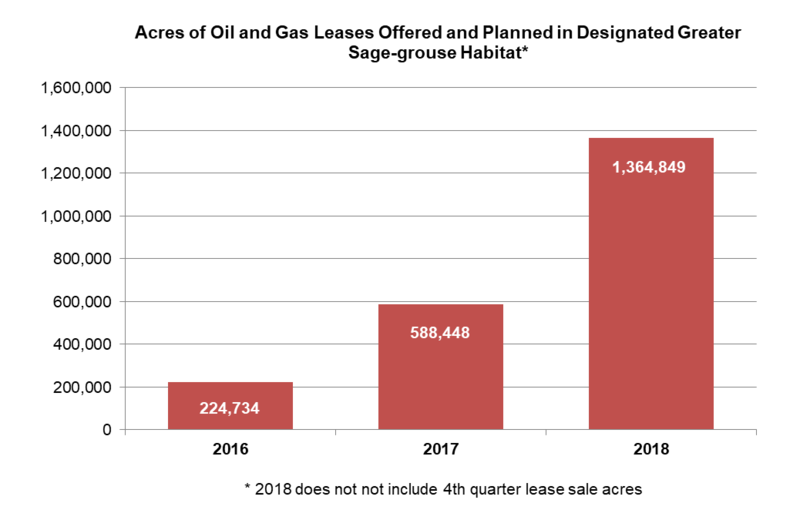 Under land-use plans adopted in 2015, the Interior Department is obligated to focus fracking and drilling leases outside of sage-grouse habitat. Those plans are intended to prevent the bird’s decline and preclude its protection under the Endangered Species Act. 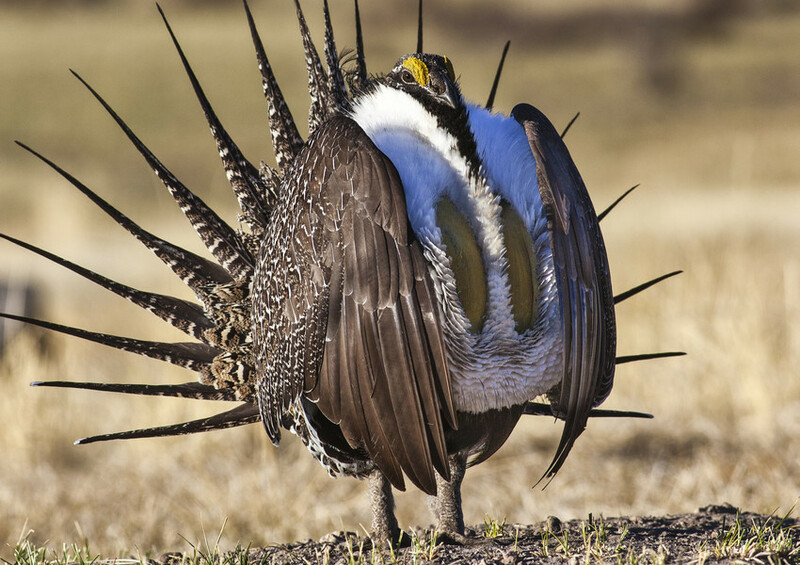 A BLM directive effectively eliminated those sage-grouse agreements. Today’s lawsuit targets oil and gas lease sales in Nevada, Utah, Wyoming, Idaho and Montana. Sage-grouse success also benefits pronghorn, elk, golden eagle, native trout and nearly 200 other bird species. Over the past 200 years land conversion, oil and gas drilling, and livestock grazing have cut the grouse’s range in half, causing steady population declines. Under Zinke the BLM has ignored the 2015 policies, built into 98 federal resource-management plans in 10 states, and put nearly 2 million acres of habitat on the auction block ― more than 1.3 million acres in 2018 alone. Zinke vowed to undo the 2015 plans despite support from western states and scientists who helped the BLM write them. Advocates for the West attorneys Laird Lucas, Talasi Brooks and Todd Tucci are representing Western Watersheds Project and the Center for Biological Diversity in today’s lawsuit. Greater sage grouse photo by Bob Wick, BLM. This image is available for media use.